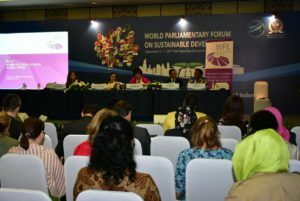 WPL has co-hosted a side session at the Parliamentary Forum on Sustainable Development on 7 September. 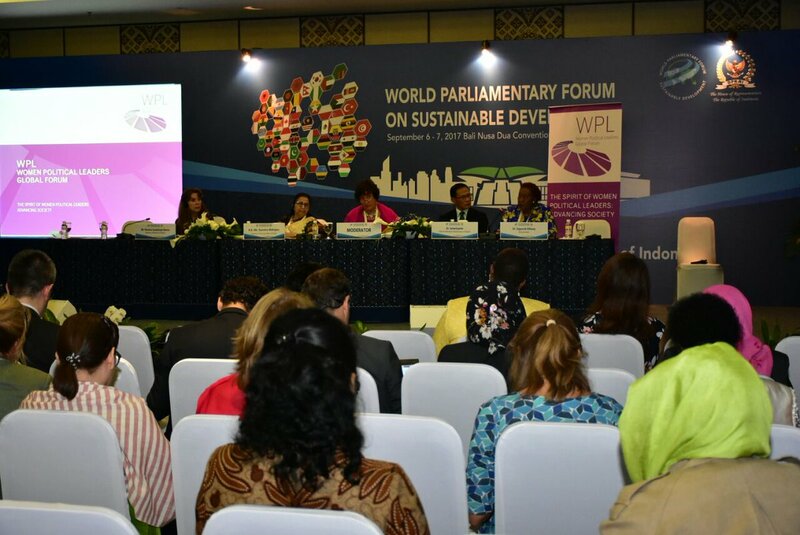 The Forum was organised by the House of Representatives of the Republic of Indonesia and invited parliamentarians all over the world to take part in it. This two-day meeting was a multi-disciplinary dialogue between Parliamentarians and stakeholders around the world, filled with a series of prominent speakers, involved parliamentarians and related UN agencies who looked for a participatory, transformative and transparent process and actions to encourage a more inclusive and sustainable word. The role of Parliaments has been finally recognized in important aspects such as the regular review on the implementation of the SDGs and also the comprehensive involvement of Parliaments. The recognition of the Parliament role in sustainable development goals has provided a new opportunity for members of the Parliament alongside the government and other stakeholders to succeed the sustainable development goals. In order to achieve this, the event facilitated the sharing of policy analysis, experience, best practices from cross-country and cross-sectors, increase the understanding of the Parliament on sustainable development patterns, understanding the parliamentary mechanisms that exist in the mainstreaming of sustainable development issues. It also seeked to build networks between parliaments and establish a forum to share best practices in dealing with the issue of sustainable development. The Forum had three main sessions where the participants addressed the following topics: ‘Leave no one behind: promoting inclusive and equitable development’, ‘Ending violence, sustaining peace’ and ‘SDGs: climate action’. 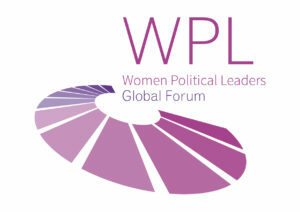 Provisional agenda: see the World Parliamentary Forum on Sustainable Development. The Twitter hashtag for this event: #SDGsParliamentBali. Minutes (background) & agenda of the session: see side bar. In September 2015, a new set of development goals that succeed the Millennium Development Goals (MDGs): The Sustainable Development Goals (SDGs) have been declared by the world leaders in UN Headquarters, New York. The SDGs are people-centered development goals built under the direction of the sustainable development dimensions. All with the pledge to set a better change to the world, to everyone and leaving no one behind. Since SDGs are being regarded as the highest form of political commitment of the UN member states, it is expected that they will have an impact that touches the life of society as a whole. Parliament, as the representative of the society, has a critical role in determining the success of the SDGs.